The decrease in the strength of the winds and the work of more than 5,700 firefighters allowed today to achieve significant progress in controlling the fires in Los Angeles, although its effects are such that President Donald Trump declared a state of emergency in California. While the most important fire, the Thomas fire in Ventura County, northwest Los Angeles, continues to move out of control, the fires unleashed this week in the second largest city in the country begin to signal that firefighters can control them in the coming days. The key lies in the lower intensity of the dry and powerful “Winds of Santa Ana” that blow with force this week in the region and that have stoked the flames, which damaged more than half a thousand structures, forced to evacuate more than 200,000 people and burned tens of thousands of hectares in the state. If this Thursday these typical winds of this time of the year had gusts of up to 128 kilometers per hour, today gave options to firefighters. “It seems that the fire has decreased considerably in the last few hours,” said Jon Heggie, a spokesman for the state fire protection agency Cal Fire. 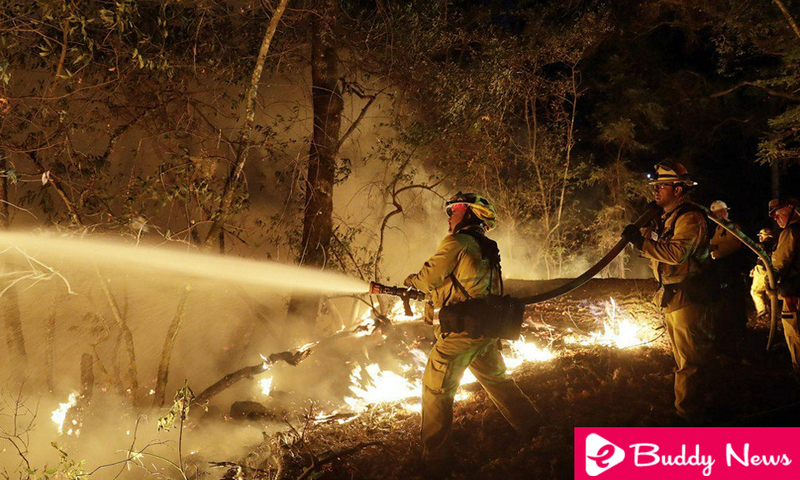 Thanks to this, firefighting personnel begin to dominate the three fires that threatened Los Angeles, such as the exclusive Bel Air sector (near Beverly Hills), which is already contained by 30%. However, the mayor of Los Angeles, Eric Garcetti, said the “red alert” will remain in the area until Sunday afternoon. Garcetti also indicated that in the area of Sylmar, also in the metropolitan area of Los Angeles, the fire that since Tuesday consumed more than 6,191 hectares, including 33 homes, was contained in 40%.